Nothing revitalizes a home’s appearance and improves indoor comfort like quality replacement windows. Advances to manufacturing technology have produced a superior window with superb frame strength and glass options to protect your home’s interior while expanding your view. Windows are the interior focal point that set the style of a room, and create an atmosphere unique to each home. 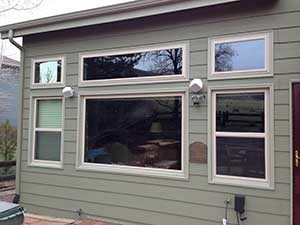 All American Exteriors offers custom built windows for any opening size. We can even change your existing window sizes to give you more flexible design options. Our expert installers will make sure your custom designed and built windows fit perfectly in your home and give you outstanding energy efficiency. Most installations take only a day or two at the most. During that time, it is our priority to treat your home and family with the utmost respect. The windows you choose for your home can have a great impact on your home and can actually save you money by purchasing or changing to a more energy efficient window. 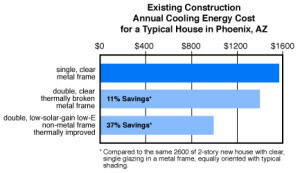 Major benefits can be found from choosing energy efficient windows including, energy cost savings and reducing your summer cooling costs as well. The long term savings can be one of the best investments you can make for your home. Even the IRS has gotten involved to promote more energy efficiency by offering tax credits for making energy efficient improvements to your home. Improved comfort – Your living space will have better temperature control and an expanded living space because you will be getting rid of the cold/hot glass drafts you may experience. Reduced Condensation – Often with window you may see condensation because of the differences between the external and internal temperatures. Reduces Fading Carpet & Furniture – The sun will have a reduced affect on the inside of your home with energy efficient windows you will have reduced fading on your furniture, carpet, painting and interior decoration. With the windows having better insulation properties the sun’s intensity and transmitted radiation is significantly reduced. Quality extruded, multi-chamber vinyl window frames provide strength and durability, as well as superb energy efficiency for today’s discriminating homeowner. Custom vinyl replacement windows are made to each opening, assuring you of a precise fit. Interior and exterior maintenance requires little more than periodic cleaning to keep your windows looking like new. Solid color throughout the vinyl ensures your windows never need painting! “Warm edge” insulated glass units and Mylar reinforced weather stripping save energy and increase your indoor comfort. Quality interlocks with a secure lock system provide additional security and tightness.